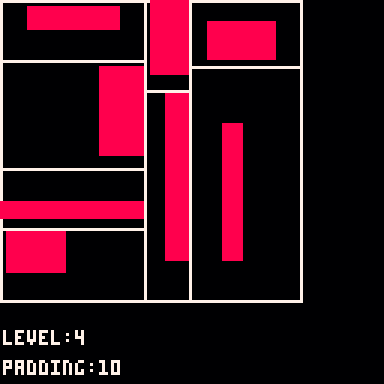 I'm working on a BSP dungeon generator for the Pico-8, so that others can us it in their Pico-8 projects. So far it makes rooms but does not attach them by corridors which I am currently working on. I will also be adding functions to draw the dungeon, and populate it with loot and monsters. Feature suggestions and coding advice welcome.